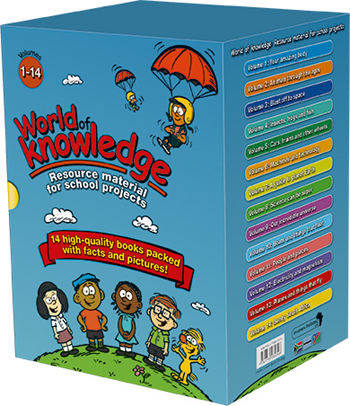 14 high-quality books packed with facts and pictures! An introduction to the human body, talking about how your body changes as you grow and showing the different parts. 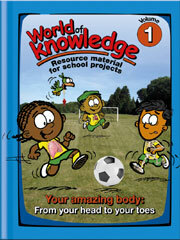 The book explains how various parts of the body work and what happens to your body when you become ill. This book contains a Glossary. Revised and updated for southern Africa by Dr Erató-Nadia Bizos, Renée van der Wiel and Monique le Riché. An introduction to the animals that lived long ago, and that live now, all around the world. 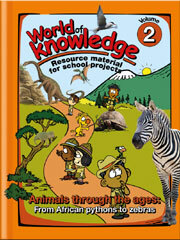 The book talks about many kinds of animals, reptiles and birds, as well as humans. Chapter 6: Where do you fit in? 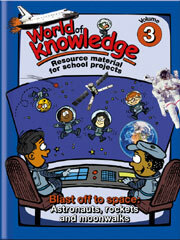 An introduction to space travel and an astronaut’s life in space. The book looks at the history and development of spacecrafts, space explorers and space scientists’ new ideas and plans for the future. 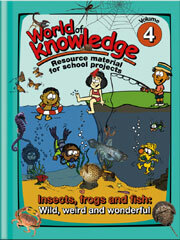 An introduction to many of the creatures that live on land and in the sea. 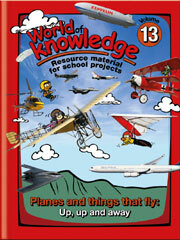 The book looks at insects, spiders, fish, boneless creatures and amphibians. It explains how all these creatures behave, and how some of them help people and others harm people. An introduction to the way people go from place to place, showing what the world was like before we invented the wheel, and what it is like now. 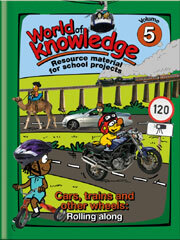 The book looks at bicycles, cars, trains, buses, trucks and many other amazing vehicles, and explains how they all work. Chapter 4: Start your engine! An introduction to the machines that were invented to help us do our jobs and activities more easily. 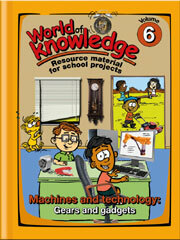 The book covers everything from wheels and gears to computers and robots. Chapter 6: Who invented …? 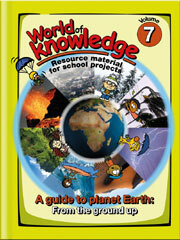 An introduction to our planet and everything in it and on it, from the structure of the Earth to its land, oceans, weather and plants. Chapter 4: How’s the weather? Chapter 6: The Earth in bloom! An introduction to science. 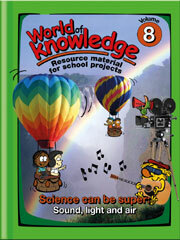 The book explores scientific facts about sound and how we hear it, and light and how light behaves. The book also talks about what air is. Chapter 3: Lights, camera, action! An introduction to the space all around us in the sky, and the things that the space contains. 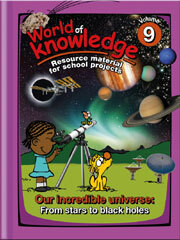 The book looks at a range of things in space, from the Sun, the Moon and the solar system, to stars and galaxies. 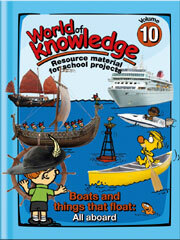 An introduction to all kinds of craft that move through water. The book looks at the history of sailing, and explores early and modern means of travel, trade, navigation and battle – all on water. Chapter 5: Is that really a boat? Chapter 6: Pull that anchor up, and let’s go! 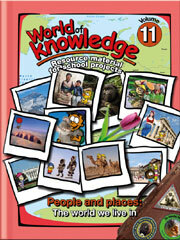 An introduction to several places around the world and the people who live there. 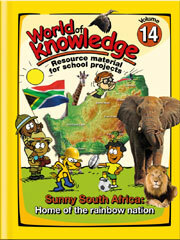 The book explores the continents and their diverse populations and cultures. 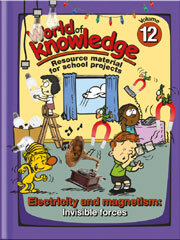 An introduction to electricity and magnetism – what they are and how they work. Chapter 8: Look and listen! An introduction to flying through the air. The book explores ways of flying that people have invented over the years, from hot-air balloons, to aeroplanes, to helicopters and gliders. An introduction to the sunny country of South Africa. The book looks at the country’s geography; its land, sea and air life; its history and its people. It explains how people live and work, and shows how the country has developed into a democracy.